Optima Canopy is a mineral ceiling panel available in a wide range of different shapes to enable you to accentuate an area, expressing your individual creativity. The Optima ceiling canopy is pre-formed into a concave, convex, circle, square, trapezoid, hexagon, parallelogram or rectangular shape. Armstrong Optima Canopies are very quick and easy to install, with no special tools needed. Armstrong Optima Canopy is a ceiling solution that complements and extends the current range of Armstrong Canopies. It is a creative design solution which improves the overall comfort of an individuals working environment, with excellent sound absorption and light reflectance. Optima Canopies can also provide a striking design for a new space or refresh or renovate an existing area. The canopies face and edges are finished with abrasion resistant paint on a glass fibre face scrim which provides a strong white surface. Optima Canopy has an aluminium square frame embedded in the back, which can be fixed either directly from the soffit or below an existing suspended ceiling system. This frame allows the suspension of the Optima Canopies as individual shapes or collectively on grouping frames. 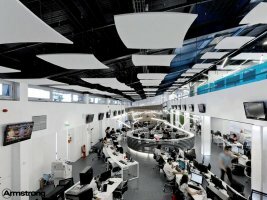 Optima Canopies provides better sound absorption than a continuous ceiling of the same visible surface area due to the sound being absorbed from both the front and back surfaces. 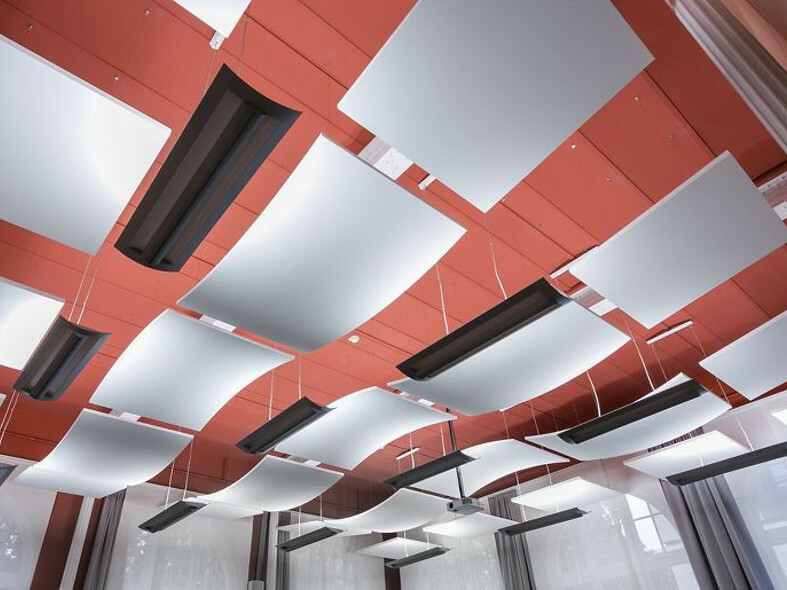 Depending on the canopies size, each Canopy provides between 1.5 and 5.25 Sabines of sound absorption per piece, calculated as an average of 500 - 4000 Hz (EN ISO 354). One Canopy can absorb up to 88% more sound that the same visible surface area of a traditional wall to wall Optima ceiling.